We have a friend in Costa Rica, who also happens to be a lawyer. Her name is Lucett Watler and we plan to utilize her (reasonably priced) services when we are ready to file for our residency in Costa Rica (please contact me or Lucy if you need help with residency). She is very knowledgeable about Costa Rica and its immigration laws. Anytime you are planning to move to another country you undoubtedly have questions. The problem is, often times you may ask a question of someone who doesn't have any legal knowledge and you wind up getting the wrong answer. This can be detrimental where immigration law is concerned. We have lots of questions!! We have skyped with Lucy and she has shared a wealth of information with us. 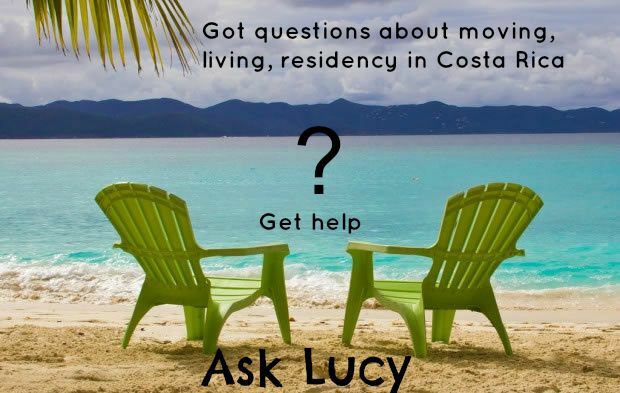 After our last conversation, she contacted me and offered to provide some FAQs for people interested in moving to, living in or looking to become residents of Costa Rica. What a great idea and will be so helpful to those who would like to get a legal perspective. In an effort to help with your questions, I'll be posting answers to FAQs intermittently here on the blog. Here are a couple Lucy sent me for today. Under this category, the ID holder is unable to work. He can be, however, a part of a corporation, and can also participate in financial activities, such as opening a bank account. Should you want to work, this ID category would have to be changed. You should not allow a bank clerk to reject or prevent you from opening a Bank account or performing any other financial service, when you present your temporary retired residency ID. Restricted does not mean that you are unable to open a bank account. Can I exchange currency at the bank using my passport or is any other ID required? If you are visiting the country, the bank should accept your passport.. Please feel free to submit your inquiries. We are happy to continue answering your questions. For those who are yearning for a better understanding between the two cultures, Lucy Watler has been a lawyer for 32 years and has witnessed immigration law changes over the years in favor to better service for immigrants in Costa Rica. Lucy will be happy to answer your questions. You can contact her direct at asklucycr@gmail.com or feel free to post a question in the comments or email me. Thank you Lucy for your help!